How likely is it to see and hear a group of Japanese ukulele players perform Hava Nagila on stage at a Shinto shrine on a mountaintop in Tokyo? Not very likely, but we found a video of just such a happening. The players are a group called Ukulele Afternoon. 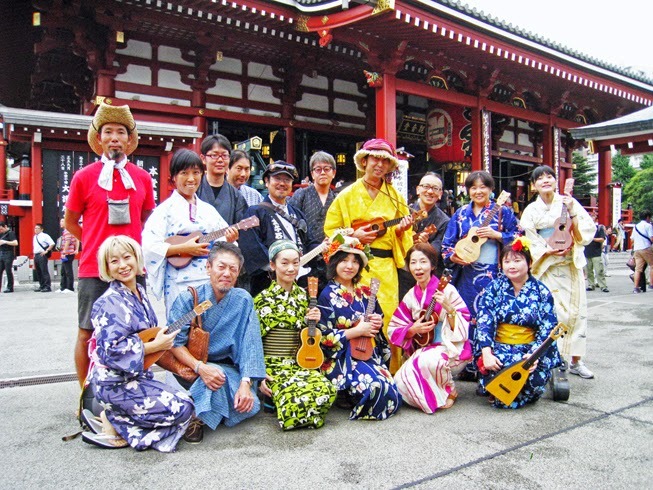 They have been performing ukulele concerts in Japan for more than 20 years. Ukulele Afternoon embodies everything about Japanese culture - they embrace traditional and modern approaches to music and art. Their music has all the excitement of a punk rock band combined with the sensitivity of a chamber orchestra. The first three minutes of the video shows the ensemble playing Hava Nagila, and then they play other songs.